A friend of mine and regular restaurant customer ordered a Chivas Regal Satin Manhattan one day not long ago. To be honest, and I always am, I had never made this drink before. I told him so and he smiled at the opportunity to teach me a new drink. He also told me this cocktail is also called a "Rat Pack." Apparently this beverage was a favorite of Frank, Dean, Sammy and Joey. He explained the Manhattan drink had to be made only with Chivas Regal to claim the name "Satin Manhattan." I got the bottle of Chivas off the self on the back bar and asked what else was in the drink. "Just a little vanilla liqueur and a dash or two of bitters." He encouraged me to put the drink together and he'd taste it. If it wasn't exactly right, I could try again (and again) until I got it just perfect. Of course, he'd continue to taste until the "mission" was accomplished. Much to his surprise I "nailed" the recipe on my first try. As my friend was finishing his Manhattan, I asked him where he'd had this beverage before. He said he had just returned from visiting a friend in New York City and his friend had ordered the drink so he thought he'd do likewise. 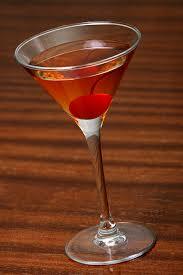 I wondered if the Chivas Regal distillery came up with the Satin Manhattan recipe. If so, James and John Chivas would be pleased to know it. 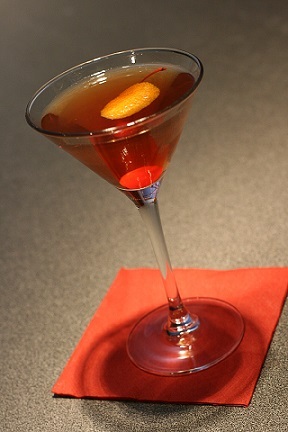 Enjoy your Satin Manhattan and the company of those you share it with. It may become a favorite restaurant drink recipe of yours. Did you know? 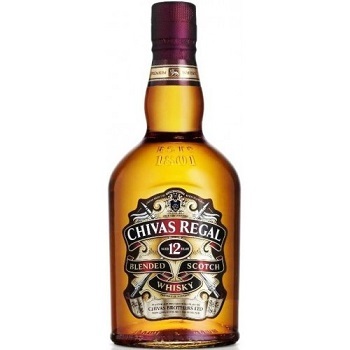 Chivas Regal traces its roots back to 1801. Chivas Regal's home is Strathisla Distillery at Keith, Moray in Speyside, Scotland. It is the oldest operating Highland distillery, founded in 1786.